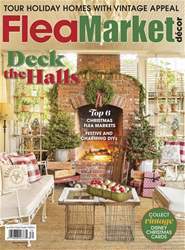 An Arkansas home celebrates the holidays with neutral farmhouse décor, vintage treasures and nods to traditional design. 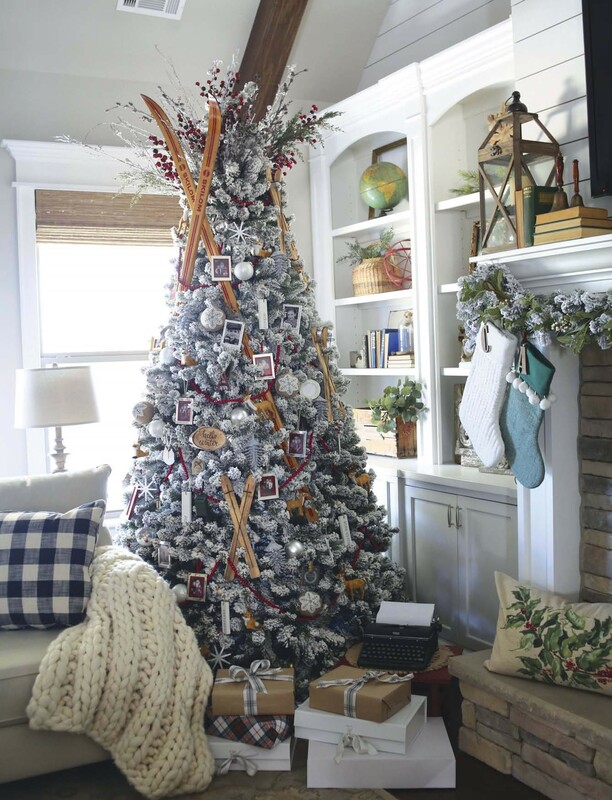 THIS IS A UNIQUE, wintry take on a standard Christmas tree—one that’s packed with skis in different sizes and snowflake ornaments. You can emulate the look by starting with a flocked tree and adding in skis, winter-themed ornaments and plenty of faux red berries. The tree can be viewed from the neighboring couches, created by England Furniture.